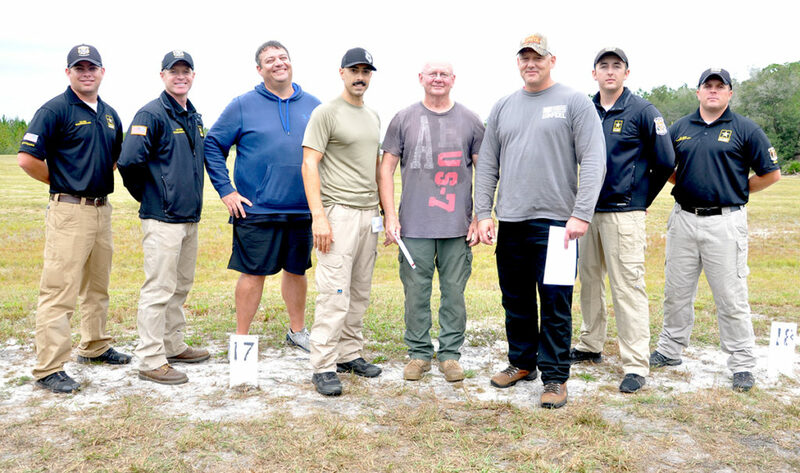 STARKE, FL – Thanks to some great training assistance from the U.S. Army Marksmanship Unit (USAMU) and dozens of eager-to-learn participants at the Civilian Marksmanship Program’s (CMP) stand-alone Small Arms Firing School (SAFS), four students-turned-competitors walked away with introductory Excellence-In-Competition (EIC) points on Sunday, November 4. 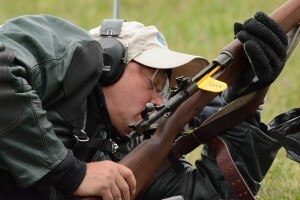 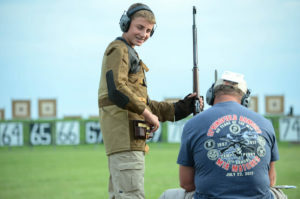 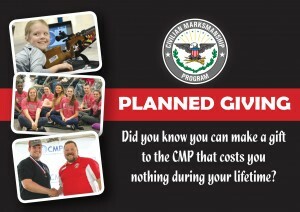 The class included 11 juniors and 38 of all ages who participated in a CMP event for the first time. 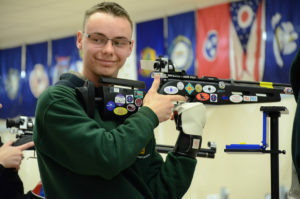 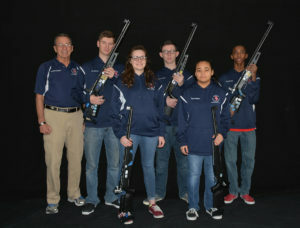 Timothy Thomas, who placed fifth, just missing the EIC points cut, was awarded a gift certificate for a competition rifle sling from Eric Hollis Slings. 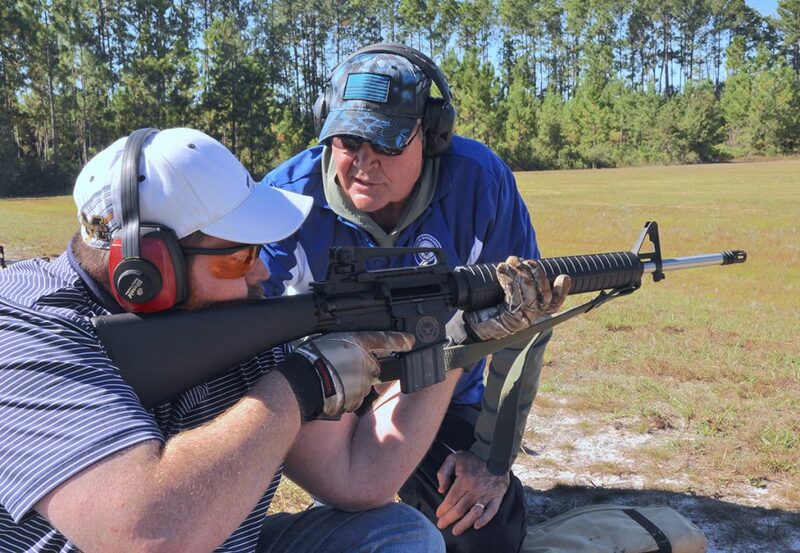 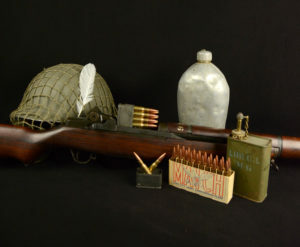 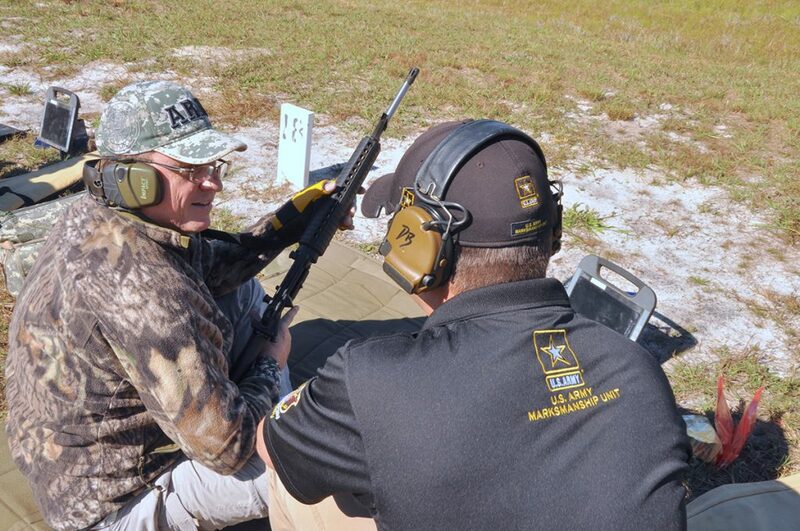 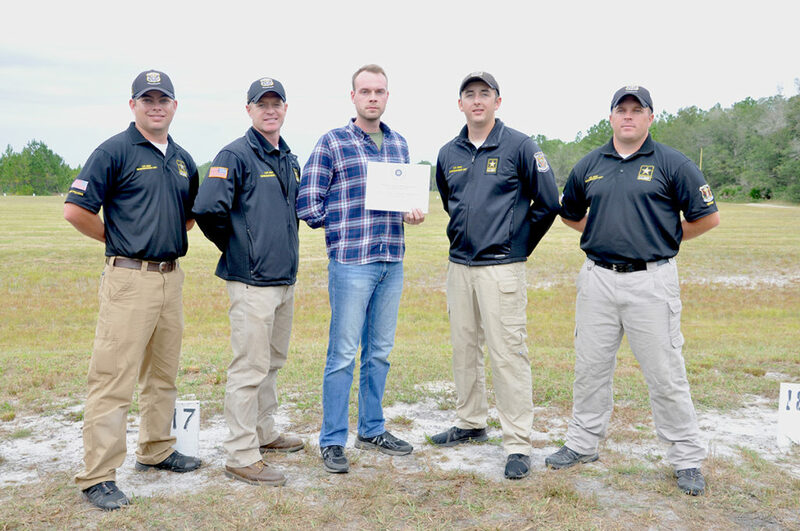 Participants in the CMP Small Arms Firing School at Camp Blanding received excellent instruction both in the classroom and on the firing line during the two-day event. 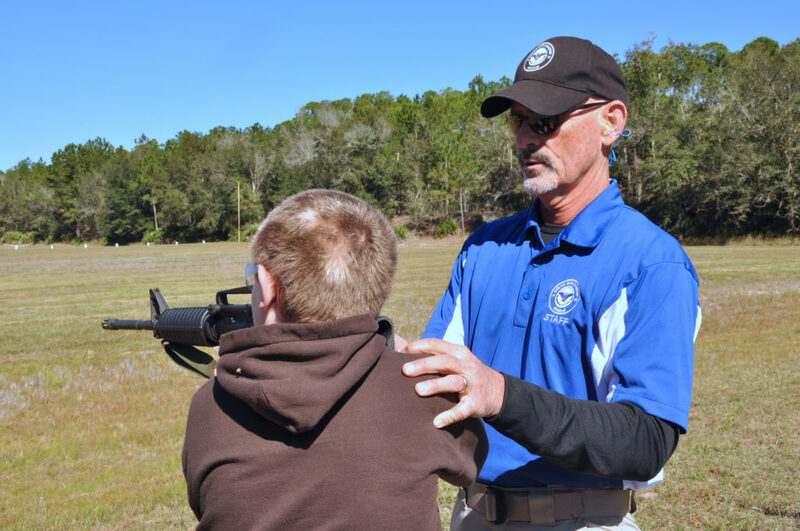 CMP Instructor Danny Arnold works with junior Christopher Gatto on his standing slow-fire position during the SAFS on-range practice period. 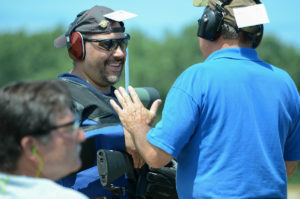 CMP Instructor Kent Stonecipher assists Eric Reyst with his sitting rapid-fire position in preparation for the next day’s EIC match. 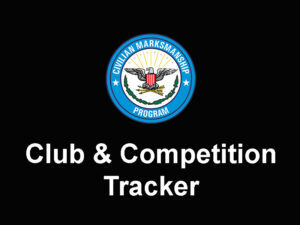 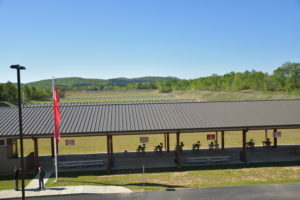 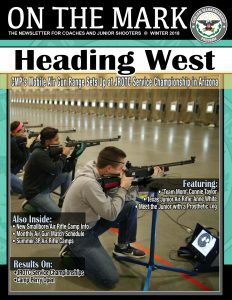 To view complete results of the Camp Blanding Small Arms Firing School, log onto CMP’s Competition Tracker at: https://ct.thecmp.org/app/v1/index.php?do=match&task=edit&tab=results&match=17428. 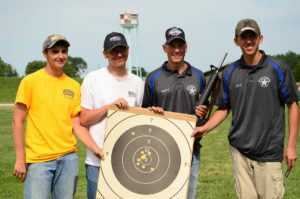 Thanks to all for putting on a great class and match.